It is the beginning of Lolo’s sophomore year of high school. In usual Hacker fashion, we have yet to take Lolo’s first day of school picture. We have been distracted and I don’t want to make her too angry in the morning. Oh my gosh, if you have ever seen Lolo in the morning, this would make sense. I was the same way. My parents used to tease me that I needed a morning Exorcism in order to start my day because I looked somewhat possessed at the breakfast table. Anyway, we are going all out next week. This last week was about recovering from dropping off my #1 and only son, Jonathan, at University of Utah. That couldn’t have gone better. Yes, I cried as he walked away in the parking lot. But, he keeps texting me this week telling me how amazing college is. I am assuming it is the stellar education he is getting and not the “college scene” that is so amazing. However, taking him to school was a great experience. He is very happy in Salt Lake City. He has already been climbing the mountains behind his dorm 4 times in the last week. He likes his professors and loves the looser environment of the college campus. Because he is happy, I haven’t been sad about him leaving our home and making his way in the world. I am excited, and actually almost competitive, about making sure he has the best care packages coming to him. So, Lolo’s first day picture, hopefully, will be Monday. It is interesting about first days of school and, actually, parents fears seeping out of their pores. We mess up with this thinking and we pave the way for our children to do the same. Ok, here I go again with my “after having a child with cancer” speak. But, it isn’t because I am so wise. It is because I have been slapped in the face very hard with a wake up call. I fall back into my own patterns often. This week, I had another wake up call. First of all, I cannot believe Lolo is starting the year so healthy, so sassy, and excited about parties with friends and new friends, and even Chemistry!! So, the picture didn’t happen yet. But, OMG, Sweet Baby Jesus….my girl is starting the school year with HAIR! 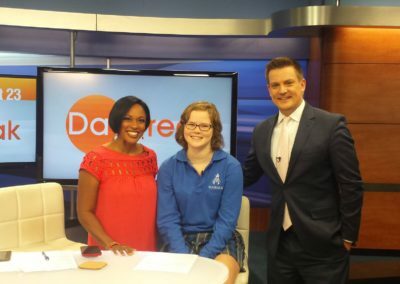 I could do my happy dance…and I actually do….I have actually been breaking out in spontaneous dance moves throughout the day thinking how happy she must be just to have hair on her head in high school! So, back to the comments I hear….I am not judging. In fact, I feel the worry and the concern, but I also see people missing out on the moments that are wonderful because they are afraid. As I listen to the other moms worry about whether their daughter will make a specific sports team or even the worries beginning about whether their daughters will get into a specific college (even though they are sophomores now) I feel bad. I feel bad that these worries are seeping into the present. They are worrying about the future over these issues and they are missing these moments of wonderful right now. I had one mom, that I dearly love from afar, worry about her daughter’s social life. This is a friend that I have known for a long time and she is very outgoing, but her daughter isn’t the same. She is more quiet. Her daughter is spectacular. She is lovely, actually. But, she seems to be happiest in a small group. I think her mom worries so much that she isn’t in a big group and in the center of things. I used to be like that and I remember the fear that Lauren wasn’t doing ok. The fear didn’t come out of anything but pure love because we all want out children to be happy. But, what we don’t understand is their happiness and the pursuit of it is their own business. Our job isn’t to MAKE our children happy. I know that sounds nuts, but it just isn’t. In fact, if we keep paving the way for them, they never figure out what truly makes them happy. They figure out what we think makes them happy. It does hurt sometimes to be left out, but it also helps a child develop. Please don’t think I am judging anyone. I did the same thing this week and do it all the time. 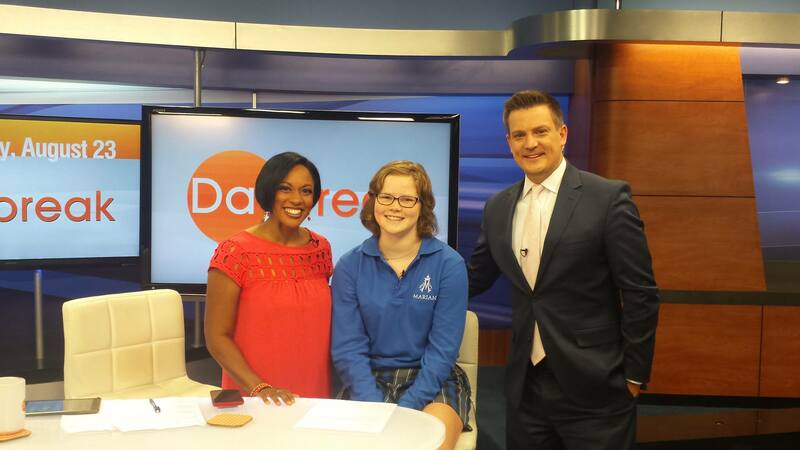 Lolo was asked to help do a Children’s Hospital promotion with the WOWT Daybreak news crew. If you know Lolo, this was a lot to ask. First of all, she had to be there by 630 in the morning before school. Too early to schedule an Exorcism. Plus, she had to be interviewed about herself. Well, just ask Steve King from 105.9 radio….that can be a bit hilarious. Lolo is SOOO SHY!!! But, she loves Children’s Hospital, so after some stewing, she told their PR person that she would do it. I stayed out of the decision because I refuse to push Lolo in these ways. She will hit me and I am afraid. Anyway, I was a worried mess, just like my friends that I wrote about. I was worried about how she would do. I made the mistake of trying to smoothe her hair and she slugged me in the arm. We do need to work on her violent tendencies, that is for sure. The interview was funny. She whispered and barely said a thing. Now when I look at it, it is about the cutest thing ever. Just the fact that she is where she is means she is victorious. She was no Chinh Doan or Julie Randby or Serese Cole, by any means, but she was dang cute. Plain and simple, she made me smile. I was proud of her. Not because she was on TV or got some attention. I was proud of her because she did this for the right reasons and it was hard for her. She got over herself and put herself out there for someone else. Oh yeah, that is my girl! She has overcome a lot. Public speaking is not her thing, but she did it anyway. This week I began to get caught up in my own fears. I was worried about my choices, such as not working and focusing on our non-profit. 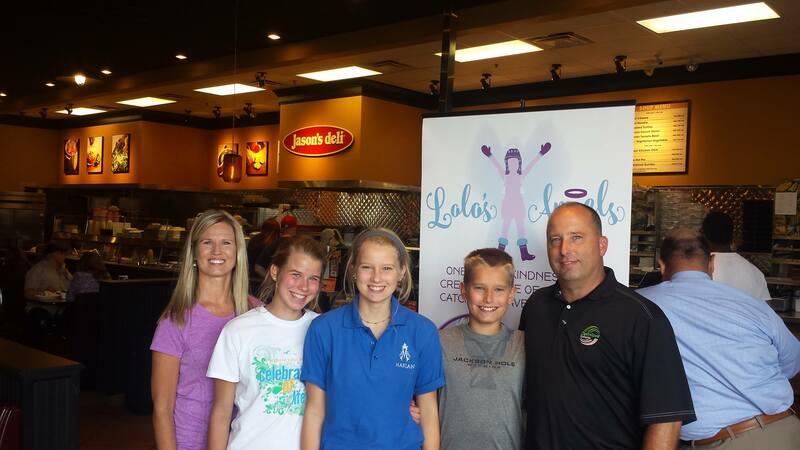 We have been working on a video to convey our message for Lolo’s Angels, Inc. I was in a mess over it and I didn’t know it. I wanted to accomplish so much I was getting lost. I was also letting fear of failure kick in and that is never good. So, I am giving myself a wake up call. Yesterday, a couple of wonderful things happened. The people that impacted my day probably don’t even know it. First of all, I am thrilled, absolutely thrilled that Dr. Soheil Meshinchi of Fred Hutchison Cancer Center in Seattle is going to fly out to Omaha to be our guest speaker at our Backyard Bash to raise money for pediatric cancer research. He is the real deal. His mission is his life and he walks the walk. Besides that he has a great sense of humor and a good heart, like our Dr. Coulter. 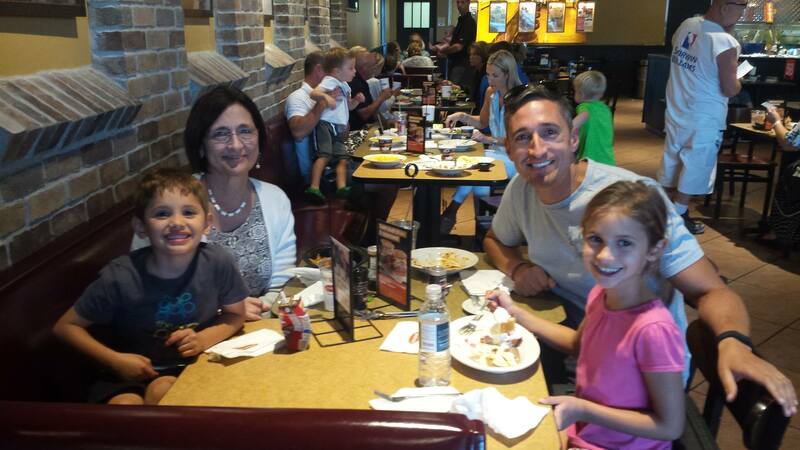 So, Dr. Coulter offered to have Dr. Soheil meet our doctors in Omaha while he is here. Yesterday, I also went to the Med Center…UNMC, to talk to Dr. Kratochvil (my friend and old neighbor) and Dr. Bruce Gordon. Dr. Gordon is head of the transplant center at UNMC. 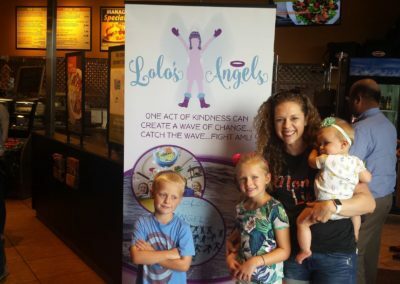 I went to get advice and support for Lolo’s Angels, Inc. I came out of the meeting humbled and excited. I haven’t been confident that my desires to help in some way would be taken seriously. We all do this to ourselves. But, after this meeting, I realize I need to get over my ego and just keep working hard. I wanted the doctors at UNMC to also meet Dr. Soheil when he is here and they are very excited to do so. Yeah!!! They will all love each other and make a difference for these kids. I love introducing friends. 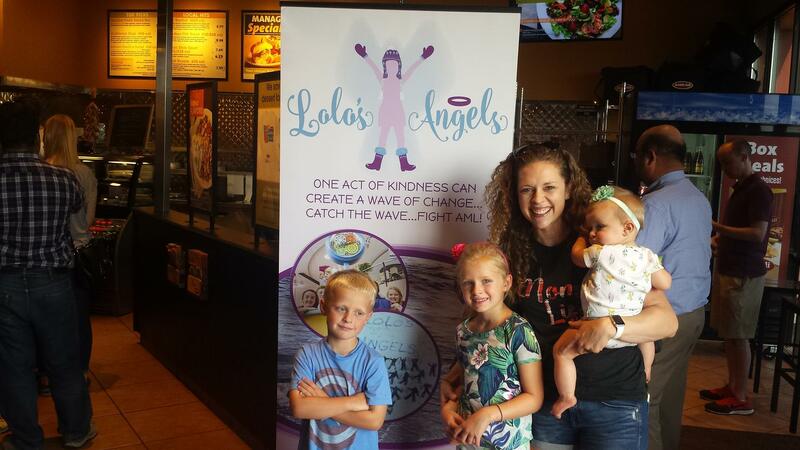 In addition, they gave me some good ideas and advice on how to build Lolo’s Angels so that we can help more kids in Nebraska suffering from pediatric cancer. How good is that? 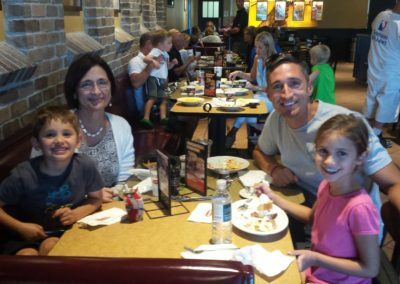 After the meeting, we had our big fundraiser at Jason’s Deli. I was also worried about that. Would anyone come? Well, we had a really nice turnout. We also had a lot of fun seeing people come in. I couldn’t believe how many people came. I saw a friend that I hadn’t seen in about 7 years. She showed up and I about cried. (Thanks, Becky!) Even our mail carrier showed up. She is a jewel. This list goes on. I didn’t think Brad Ashford would show up. That is the one I keep thinking of today. He showed up to see Lolo in the hospital on the day his son was to be married. 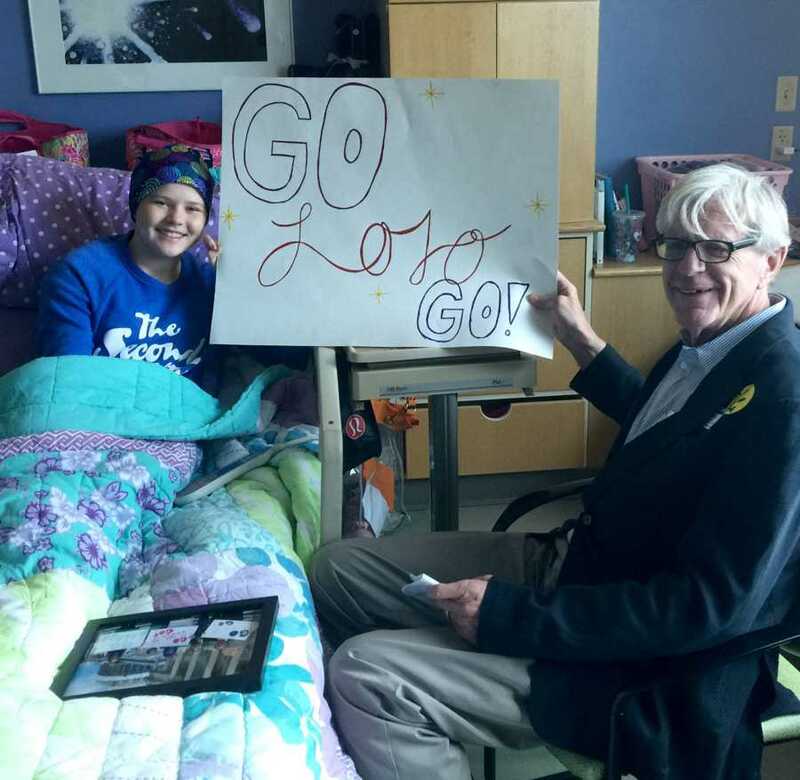 He promised her if she got better she could meet Joe Biden (and she did), he showed up when she was critically ill and our community prayed the rosary below her hospital window, and he did it again. He had a big event at the Joslyn Castle, but of course, he made time to stop by our fundraiser and rally some support and make a donation. This isn’t politics, this is friendship, and it means a lot to us. I am humbled beyond belief. In fact, I am teary-eyed this morning. I want so much to help these kids with cancer that I know I am like a honey-badger. I am grateful that people aren’t tired of me. I know I am relentless. I can’t help it. I realize I just cannot believe I have my little girl. I just cannot believe it. Some days I have to stop and breathe and sigh….sometimes I totally break down and cry. In fact, I am right now. Words fail me to describe how blessed I feel that she is getting to go to high school. I am exhausted in many ways. Not to be a drama queen, but I think it has taken a full year to get my energy back. However, what little energy I have still wants to fight for these other kids and families. Many of them are not getting to take first day of school pictures. I can’t imagine the agony and despair. It isn’t right. So, I am sorry for being relentless. Today, I feel grateful that this community and our friends are patient with me. I will keep giving this my all. But, I realize that I need to not be a hypocrite. I need to live by my own words and not be fearful of the future or fear failure. In addition to allowing my daughter to struggle so that she can feel confident in her own abilities and find her own way, I need to allow myself to struggle. I need to check my ego at the door and dive into raising money for research and run many bone marrow drives. I won’t fail at this because any money raised is a good thing and every person we register at a bone marrow drive has the potential to save a life. We might not see any huge success or big glory, but we are spreading awareness for these children. They deserve it and that is all that matters. Gotta go and do another little happy dance. I am going to get that first day of school picture on Monday, I hope. Glad to see all the smiles. Smiling is always good for the soul. All of our love and support. It was great seeing your daughter at Fashion Week. She is gorgeous! Geez! I do feel like I am walking on sunshine most days. I can’t believe she made it through all that she has. 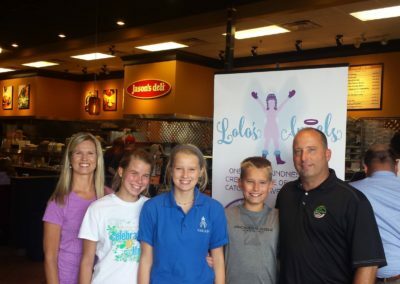 It is time to breathe a little bit and enjoy….and fight for other kids like Lolo. I can’t wait to tell you what is coming next for Lolo’s Angels. We are building some momentum. I am ready to talk again in September for Pediatric Cancer month. I had the jitters last time on the air, but it was actually fun to hang with you. I will be on the Morning Blend on Tuesday, September 5th. Maybe they will let me wave at you….no heckling! I’m so happy for LoLo to start school with her beautiful hair. She’s a firecracker that’s for sure. Now I understand why I should interview her in the morning! See ya soon. 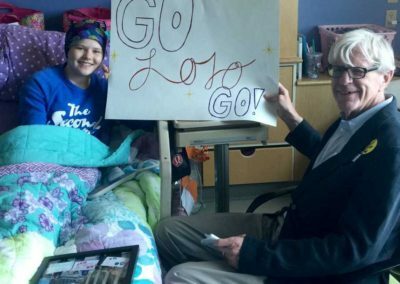 Give LoLo a hug….and thanks for the great update.